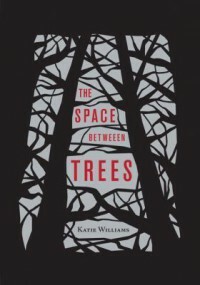 The Space Between Trees is Katie Williams debut novel. I think that congratulations are what she deserves. The Space Between Trees is a powerful, dark and different young adult novel.Evie is a bit of a loner. She hasn't made any friends in high school, and she spends her time at home watching TV and doing homework. Every Sunday, she works as a delivery girl at a neighborhood near Hokepe Woods. Seeing Jonah, a college drop-out she has a crush on, is the the high light of her Sundays, of her weeks. But one Sunday, which began as a regular Sunday for Evie, everything changes. Jonah finds a body from the woods. Body of Zabet McCabe. Body of Evie's childhood best friend.Evie and Zabet used to be friends when they were younger. When Zabet met Hadley, everything changed. Evie and Zabet's friendship ended and eventually they acted like they did not even know each other. When Zabet's body is discovered from the woods, Evie tells a lie which starts a chain of events. 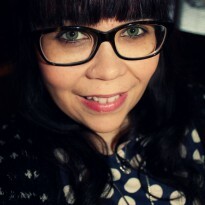 She befriends Hadley and together they start to investigate the murder of Zabet. Can they trust each other? Is Evie telling Hadley everything she knows? And does Hadley know something she hasn't told Evie about?Lies are told, mysteries are solved, and lives are put on danger. Can Evie and Hadley find the murderer, and are they both going to be victims of the same mystery man? I really enjoyed 'The Space Between Trees'. At the beginning of the novel Evie is a very awkward characters; some of your actions make cring. When the novel proceeds, the time Evie spends with Hadley changes her, and eventually she is not able to recognize herself. Hadley is one of those "bad girls" you try to prevent interfering with, especially at high school. These two totally different girls form a friendship through the death of a girl who has been a friend of them both. I really liked the vivid and descriptive writing style of Williams and I would definitely be interested to read something else by her as well. I will waiting for the second novel.The cover of the book does not get any credit from the picture. It is the most beautiful book cover I've EVER seen. And I have seen a lot of book covers. I bet everyone who has seen this cover understands me. Great job from the cover designer. I want to thank Chronicle books for sending me a review copy of this novel.